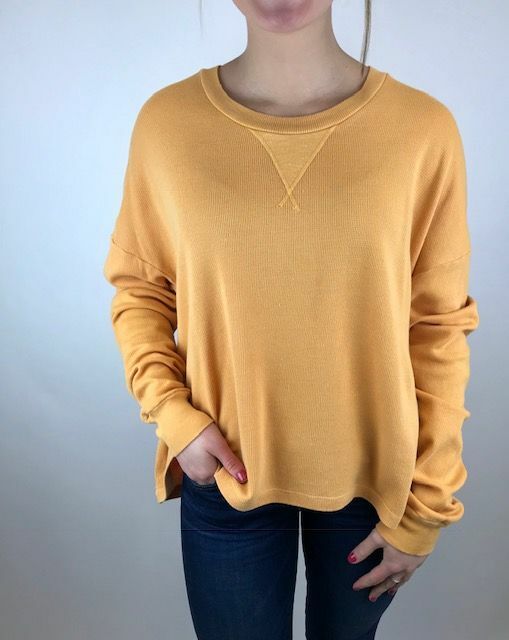 A yellow-orange long sleeve top with a waffle like texture and a round neck. 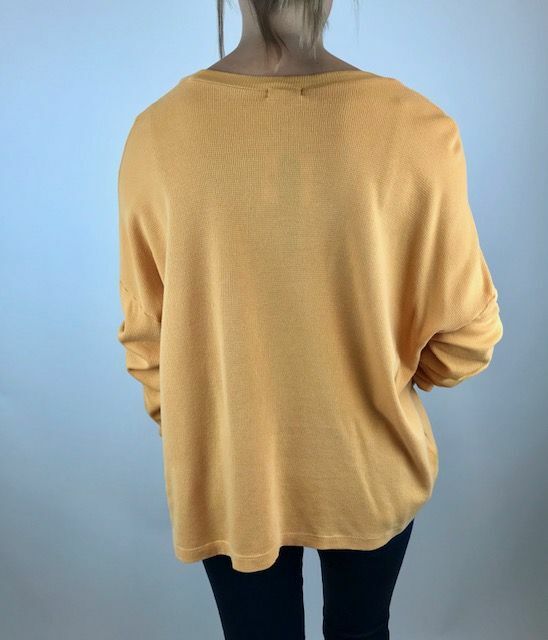 This piece has a loose fit so you may need to size down. This color looks great with denim.